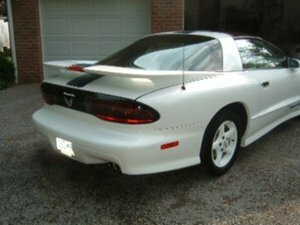 1994 25TH Anniversary Pontiac Trans Am GT. Including Window Sticker, White Leather Owners Manual Portfolio, Press Kit And Other Information From Pontiac. Gorgeous All Stock And Original, Babied From Day One, Never Seen Bad Weather.